1.These knife fork spoon Cutlery set Not only just good for Camping,as they comes with a drawstring bag that makes it easy to carry during Travel, Work or even to Picnic with the family. 2.You can also use them at home or carry them to wherever you like, to your work place or school, college or for any national/ international travel. They work perfectly as travel Cutlery Sets and can be used for eating takeaway food at home. 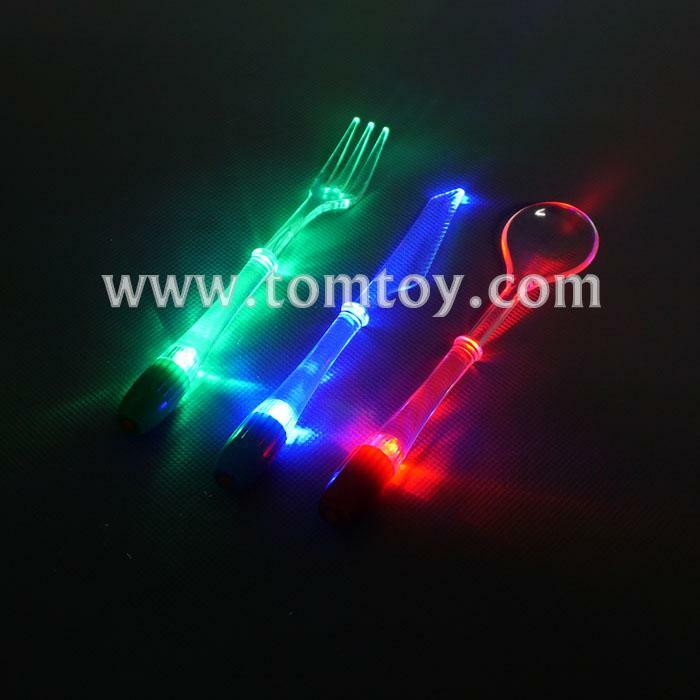 3.One piece green LED in the fork,one piece red led in the spoon,one piece blue led in the knief. 5.3pcs AG3 installed and replaceable.